Rethinking Possible is thoughtful memoir that resonates with acceptance, determination, and love. Becky Galli’s memoir Rethinking Possible shimmers with resiliency and honesty, delivering a humble and sincere reflection on loss, love, and the power to choose one’s reactions to shocking events. It’s hard to imagine one person enduring all that Galli has and still maintaining a sense of humor and optimism. Yet she has, and it comes through in this story, filled with deep family connections and profound disappointments. Strongly influenced by her minister father’s wise maxims, Galli looks back on her life as the firstborn of three children in a fun-loving family and the crisis that shook their stability—the death of her brother, Forest. Galli was twenty and at college when the water skiing accident happened, leaving her brother with a head injury he never recovered from and leaving her questioning her parents’ response to his death. She had to find her own way through grief, time and time again. Not even her marriage, career, and children gave her a way back to stability. Two of her four children were born with health challenges, including her son’s “undiagnosed disease” that rendered him a permanent three-month-old and her daughter’s autism. Her ambitious husband’s fast-rising career left her feeling abandoned and adrift among the mounting health problems of her young family. The narrative captures a woman barely able to catch a breather between challenges, yet there is no overriding sense of self-pity. She endured a collapsing marriage, separation, and divorce; the placement of two children in residential health-care facilities; the cancer and death of her anchoring father; and the death of her mother and son on the same day. But it’s her paralysis, a reaction to the flu, that proves to be her greatest challenge of all. Galli recounts her experiences unflinchingly. Her planning and problem-solving nature kept her focused on managing situations, including her family, her sorrow, and herself. It’s easy to assume that her upbringing as a preacher’s kid gave her her resiliency, but there is no heavy religiosity in the work. Instead, Galli recounts her father’s advice, finding strength and guidance in it, and rejects the trite expression “Everything happens for a reason” with her practical approach. Concise writing keeps the work moving. Galli is a matter-of-fact narrator, with a comprehensive yet succinct style that captures her family and friends’ best qualities and the emotions that flared throughout her journey. There’s an easy grace to her writing, and she hooks interest from the first sentence. With simple profundity, she passes on the methods that worked for her. 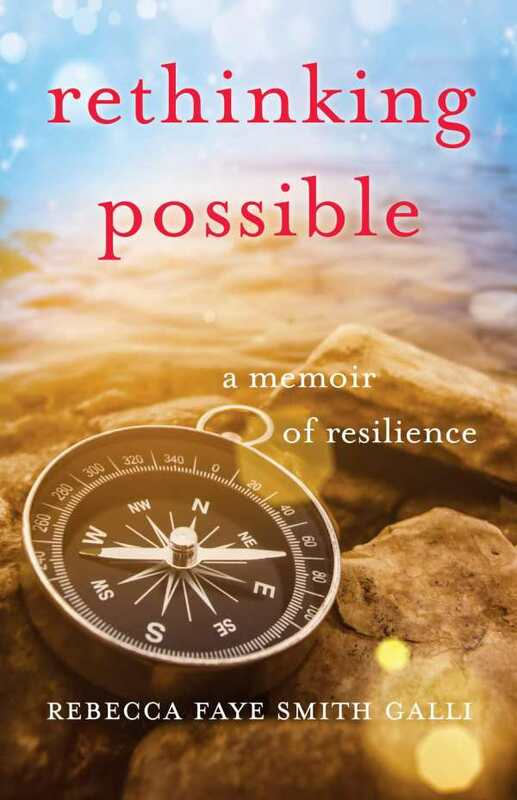 Inspiring despite its tragedies, Rethinking Possible is thoughtful memoir that resonates with acceptance, determination, and love, serving as a gentle reminder that you may not be able to choose your circumstances, but you can always choose your attitude.